This week, Malta became the latest country to pass a nationwide ban outlawing the use of animals in circuses. 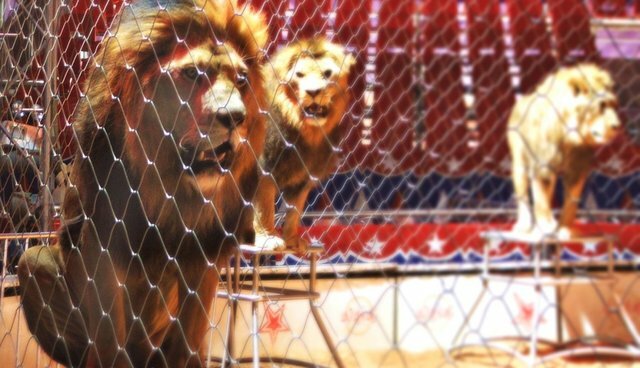 The Maltese parliament voted unanimously on Wednesday to amend the Animal Welfare Act to stipulate that "it shall not be lawful for any person to use animals for performances, exhibitions, shows or for the training thereof in circuses." As the Independent reports, the amendment makes no distinction between domesticated and wild animals. In approving the amendment, Malta joins eight other countries, including Bolivia, Greece, Peru, Cyprus, Paraguay, Colombia, Slovenia and the Netherlands, who have enacted nationwide bans on the use of animals in circuses. More than two dozen other nations have outlawed or restricted the practice regionally. Myriam Kirmond, chairperson of the Animal Rights Group in Malta, told The Dodo by email that the victory comes after years of vigorous campaigning - an example she hopes similar organizations will follow to see that animal circuses around the world are banned. "We organized protests, met up with the Prime Minister, appeared on TV and media in general and done school educational programmes, so that the children and general public will be aware of the actual life these poor animals are living and at what cost to entertain us," says Kirmond. "Having worked on this issue for oh so very many years, we are still almost incredulous that all our hard work has paid off, as we had tremendous obstacles put in our way to stop us from working for this cause." In the United States, animal circuses have been banned in 46 municipalities across 21 states - though a nationwide ban may be on its way. Earlier this year, U.S. Congressman Jim Moran introduced the Traveling Exotic Animal Protection Act, which seeks to restrict animal circuses on the federal level. "The mounting evidence of inhumane treatment and the growing public concern for these animals demands that we reconsider what are appropriate living conditions for these intelligent, social creatures," says Rep. Moran. Animal Defenders International (ADI) estimates there to be approximately 300 wild animals touring with circuses within the U.S., spurred into performing through cruelty and intimidation. "Our investigations have shown that violence to control animals is part of circus; culture,animals are beaten, whipped and electric shocked to make them perform tricks," writes ADI President Jan Creamer. "This brutality has no place in modern society."